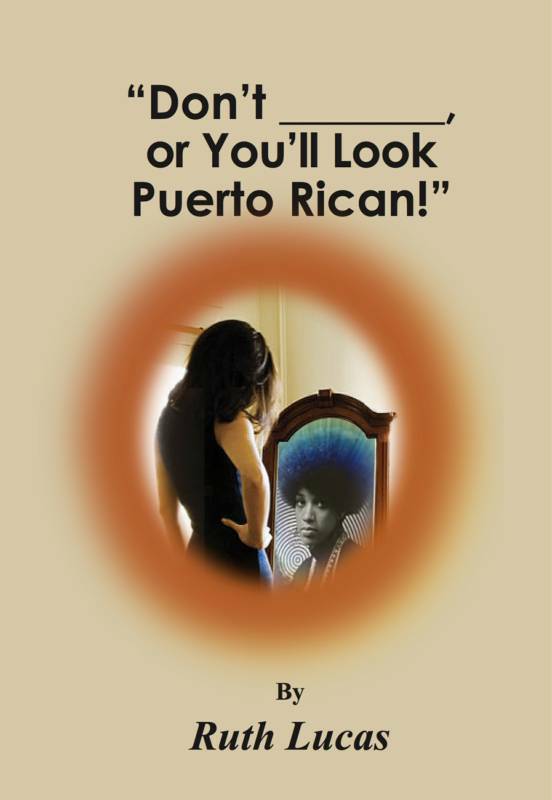 "Don't _______ or You'll Look Puerto Rican!" Can a biracial child be raised by one parent who is prejudiced against the ethnicity and heritage of the absent parent and still develop a healthy self-concept? Why would looking Puerto Rican be a BAD thing? This story of self-discovery and RE-PARENTING oneself gives readers a glimpse of how damaging prejudice can be from a DIFFERENT AND POLITICALLY TABOO point of view! "Don't put that shirt with that skirt or you'll look Puerto Rican!" "Don't wear your hair like that or you'll look Puerto Rican!" "Don't wear red nail polish or you'll look Puerto Rican!" "Don't wear red lipstick or you'll look Puerto Rican!" Elle grew up conditioned to make sure she neither appeared nor was mistaken to be Puerto Rican because that would be BAD .... An effort in futility really ... Elle's biological father? Puerto Rican! Elle's mother despised Puerto Ricans and was prejudiced in general ... readily expressing her distrust and contempt via scathing remarks, racial slurs, and derogatory generalizations. In this fictional story, Elle shares her struggle to overcome a mistaken belief that half of her was essentially BAD ... something to be condemned, avoided, or lied about ... something that deserved the abused it endured ... mistaken beliefs she learned at home.
" ... entertaining journey of self-discovery, racial identity and prejudice that will leave you thinking about the characters long after you've closed the book." - Holly Doherty, Author of "Plum Pickle: Musings About Adoptions, Family Life and More"
" ... touches on some serious issues - race relations, diversity issues, identity, acceptance and self-determination ,,, In just the first 50 pages I was hooked ..."
Here's an excerpt from the book for you to preview! This title is also available on Amazon and Barnes & Noble websites for Kindle and Nook readers. What inspired the bizarre title for this novel? Check out this excerpt from a recent interview with the author! Subscribe to Ruth's YouTube channel here.